Teknion is a Toronto based manufacturer of mid- to high-end office furniture systems and related products with operations in North America, Europe, the Middle East, India, Central and South America, the Caribbean and Pacific Rim. 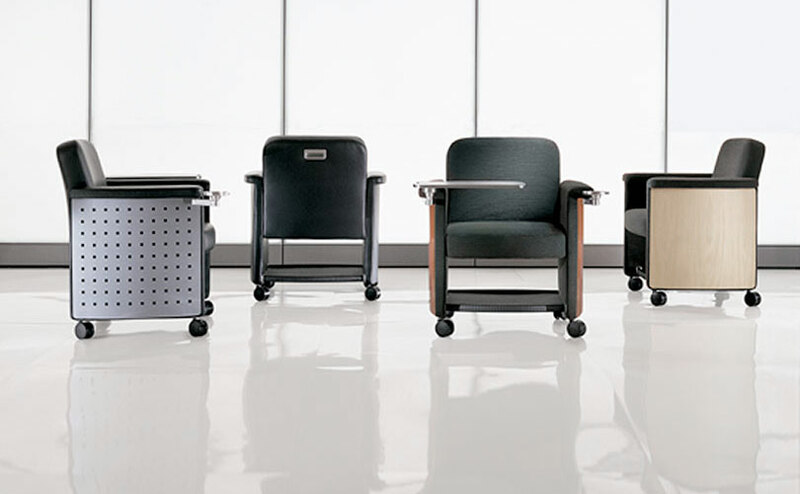 When Teknion began operations in the early 1980s, it did so with a single line, the Teknion Office System, or T/O/S. Today the company offers a number of different panel-based, freestanding and desking systems, architectural wall products, and a full range of seating from stacking, lounge and general-use to task, wood and executive. Our collaboration with Teknion started with a product development program, the Belize lounge chair – and evolved into a joint venture startup to design, manufacture and produce a full line of internet configurable, agile and accessible furniture for small businesses and home offices: dna.